Anonymous | Don’t think too much! You’ll create a problem that wasn’t even there in the first place. 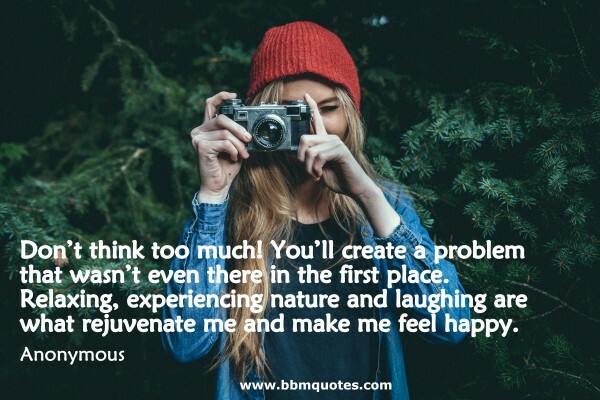 Relaxing, experiencing nature and laughing are what rejuvenate me and make me feel happy.